EPP- Strengthening emergent professional profiles in the third sector, a way to foster innovative bridges to work and social inclusion of vulnerable groups- Programme "Erasmus+"
The project aims at increasing professional competences of social enterprises and rising their ability to meet the new challenges for labor inclusion of disadvantaged groups and define useful training tools for the implementation of Job Coaching and Social Marketing WISEs activites. On the 29th of September, RESIT organised the final seminar of the EPP project in Porto. This meeting was the occasion to discuss and debate on the evaluation of the project and the final dissemination steps. Carlota Quintao is project coordinator of the European project EPP "Strengthen emerging professional profiles in the third sector - a way to promote innovative bridges to work and social inclusion of disadvantaged groups“. In the interview below she explains the most interesting findings of the project that involved five European countries and focused on the fields of coaching and social marketing. ENSIE participated in the first multiplier event of the EPP project which was organized by the Italian partner SCF- Scuola Formazione Centrale on March 2-3 in Bologna, in cooperation with the EVT- Enterprise Vocation Transition, an Italian network that provides vocational training, transitional employment in specific enterprises as well as permanent employment in the social enterprise sector. 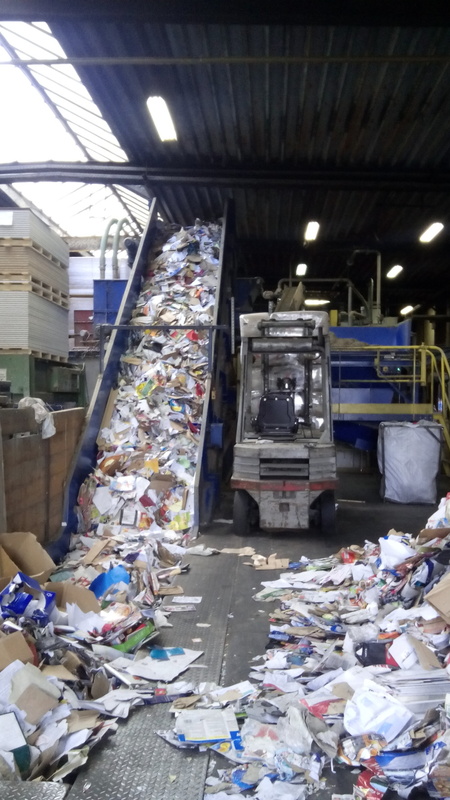 After a very warm welcome by Giovanni Zonin, director of SCF, and Rebecca Minghetti, the first day of the multiplier event started with a study visit at the CIM cooperative - Cooperativa di Solidarietà Sociale Onlus Bologna. 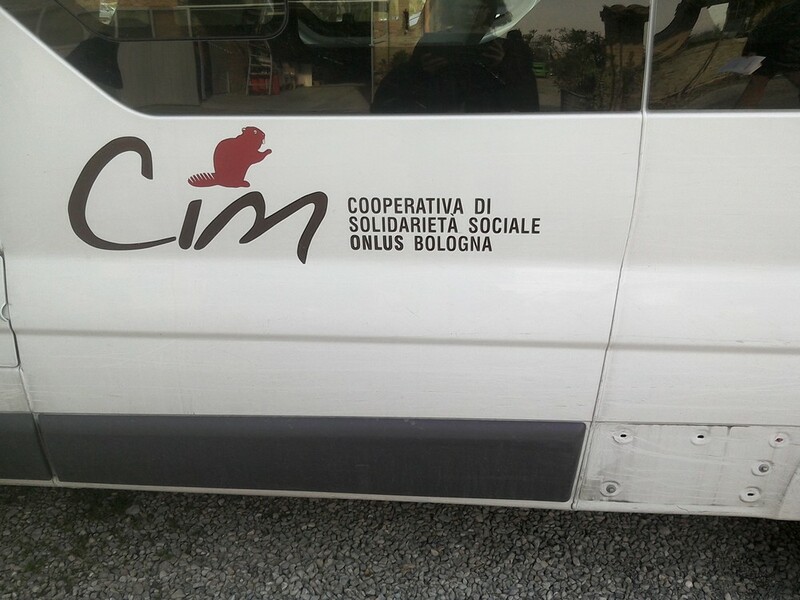 CIM works with different target groups, such as long-term unemployed persons, migrants and also people with disabilities, promoting work integration through assembling and packating work, creative work (seewing, carpentry, creative painting) and also runs its own cantine and restaurant. Thanks to CIM's wide range of activities, beneficiaries can circulate between different work places according to their capacities and needs. Furthermore, CIM offers different social services to migrants and other groups vulnerable to social exclusion. After the lunch at CIM's cantine, Social Seed, a Bologna-based organization supporting start-up WISEs, gave a brief overview of the European WISE landscape and current challenges to start the discussion among participants, WISE representatives from all over Europe (Belgium, Croatia, Greece, Romania, Slovenia, Spain, UK, and notably Italy), two European WISE networks - CEC and ENSIE - participated too. Rebecca Minghetti from SCF then presented the EPP's training packages for job coach and social marketing reponsable in order to collect feedback and comments from the participants. A lively discussion and exchange on training needs succeeded which also reflected the very different conditions and frameworks for WISEs' activities throughout Europe. The first day of the multiplier event ended with a dinner at the CIM cooperative's restaurant "La Taverna del Castoro". The second day of the multiplier event was dedicated to the staff of regional and national WISEs and linked training organisations in Italy. Gianfranco Marzocchi, president of AICCON (Associazione Italiana per la Promozione della Cultura della Cooperazione e del Non Profit), provided an very interesting and useful introduction on the development of the Italian social economy during the last decades. Later on in the morning, Federica Bandini, professor at the University of Bologna, gave a talk on how to improve HR management in WISEs; followed by Andrea Romboli from the "The Fundraising School" who shared his knowledge and experiences on social marketing strategies and tools for WISEs. After a short lunch break, Marco Conti, director of the "Cooperativa sociale Paolo Babini", presented the cooperative's inspiring work, taking the park of its home town Forli as starting point for a whole set of economic and cultural acitivites, foremostly the selling of the famous Forli food "Piadina" in the park's cantine (which currently employs 16 persons). Rebecca Minghetti from SCF presented the EPP's training packages for job coach and social marketing reponsable to the local operators. The participants made use of a detailed questionnaire to comment on both training packages. The questionnaires will provide important feedback for the final version of each training package (together with the feedback from the other multiplier events which will still take place in all partner countries during the next two months). 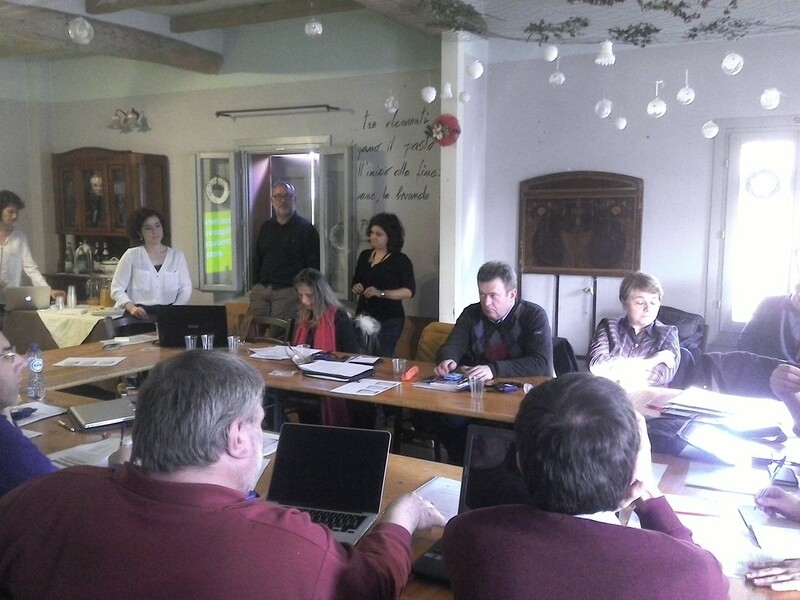 The project partners A3S, BDV, SCF, SEE and ENSIE started the forth transnational meeting of the EPP project with a discussion on theoretical underpinnings, in order to conclude the set-up of an appropriate conceptual framework for the project's empirical material. The case studies, investigating the diversity of national contexts, have been so far concluded. It was also discussed whether social enterprises (WISEs) should be presented as a whole different way of doing business which could enspire mainstream economies to become more "social". Or, whether the project should rather stick to a more "traditional" definition of WISEs as enterprises that promote labour market and thus social integration, fighting social exclusion and poverty. 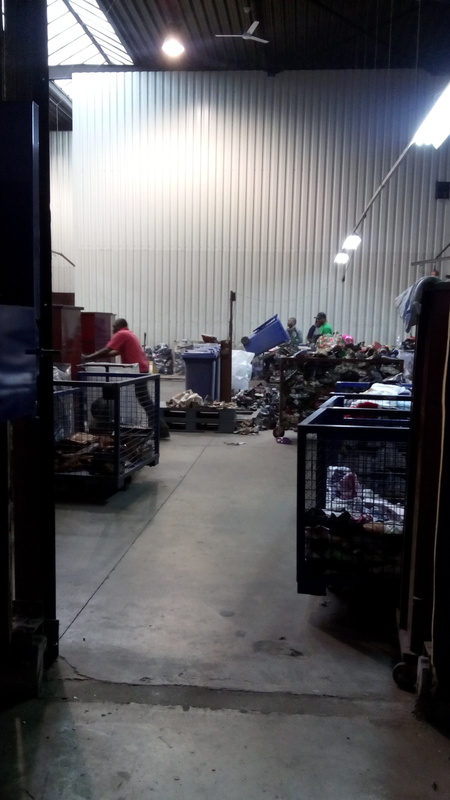 After the lunch break, the partners went off to a study visit at miEnterprise, our host for this meeting, that supports people with a so-called "disabilities" building up their own business. 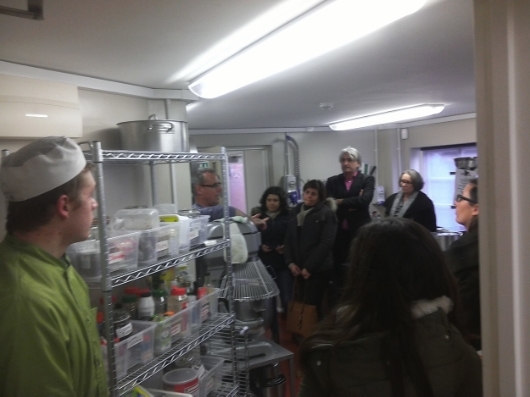 Jon Pitts from miEnterprise showed us around the kitchen facilities where food is professionally prepared. The partners did also get the opportunity to meet James, a miEnterprise member who offers catering services for birthday parties, weddings, baptisms and the like. MiEnterprise accompanies its members during the orientation period (reflecting on what profession they are interested in while keeping in mind personal competences and economic limitations) as well as during the realization and implementation of the start-up businesses. On the second meeting day, the partners got back to the in-depth analysis of the national case studies, drawing on the empirical material to conclude content and structure of the training material for the identified "emerging professional profiles", namely coach and marketing responsible (in WISEs). The afternoon was dedicated to the planning of the multiplier events which will take place in each partner country within the next months. The objective of these events is to present and valorise the four "intellectual outcomes" which are the core of the EPP project and contain its full results. Furthermore, stakeholders (such as adult education and lifelong learning institutions) will have the opportunity to discuss the outputs and contribute to the final project recommendations. meeting james, a young entrepreneur & member of "mienterprise"
The project partners, A3S, SCF and SFE, ENSIE and our great host BDV Austria, spent the morning of the first meeting day in a thorough discussion of the case studies' outcomes. Within the case studies, each partner had investigated the situation of coaching in two chosen WISEs in his country, dealing with questions such as: How is coaching organized in the chosen WISEs? Which (particular) challenges do coaches face in WISEs? What is the level of formalisation of coaching trainings in the respective country? Later on, the partners shared their views on how to carry out the EPP project evaluation, another item on the agenda was the dissemination and communication activities carried out so far. 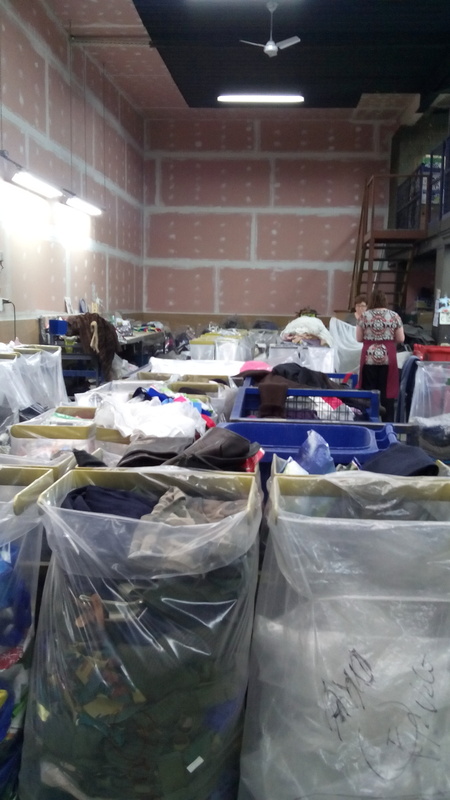 In the afternoon, the participants visited a local good practice, the WISE "gabarage upcycling design" in Vienna (http://www.gabarage.at/, German only): At "gabarage", former drug addicts turn all sorts of waste into design objects, e.g. furniture, lamps, bags or jewelry. The partners had the opportunity to discuss the specific challenges of coaches and trainers in WISEs with Dominik Czibulka, HR responsible at "gabarage". Also, the important question of how WISEs could better take advantage of social marketing to disseminate their activities had been discussed. 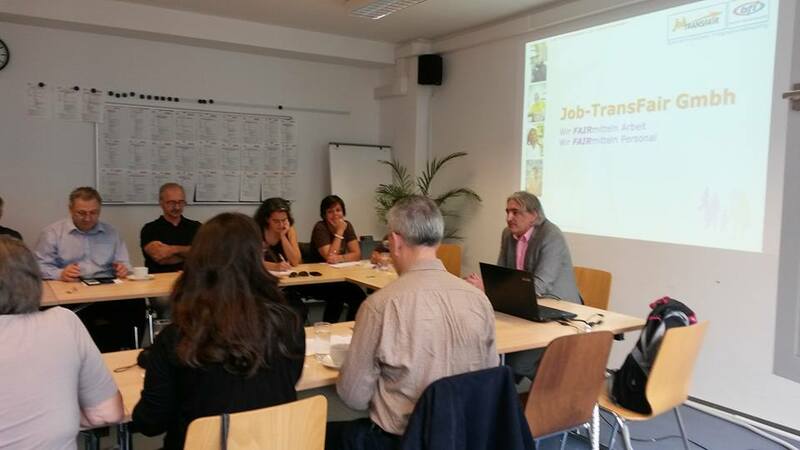 The second meeting day began with the study visit of the WISE "Job-TransFair" (http://www.jobtransfair.at/, German only), a Viennese WISE engaged in non-profit personal leasing which helps people to find a job through outplacement. Job-TransFair's general manager, Thomas Rihl, explained how coaches match their clients' skills, gained in often particular or unusual biographies, with the enterprises' needs and pointed out the crucial role of social accompaniment and professional coaching , also after clients have taken up employment, in order to successfully integrate people into the labour market. 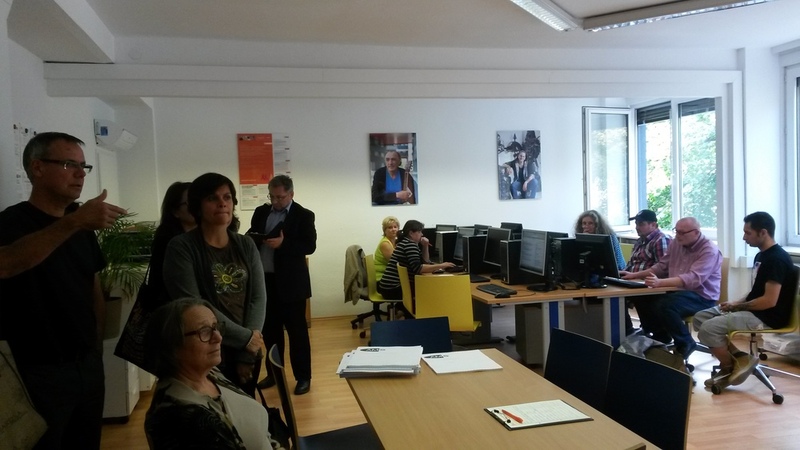 After a lunch break at the WISE "Die KANT_INE VIER ZEHN" ("The Canteen 14" - situated in Vienna's 14th district), the partners discussed how to proceed on the intermediary report as well as administrative issues. It was agreed that the national case studies need to be further narrowed down in order to design structure and content of the EPP training package for coaches in WISEs. 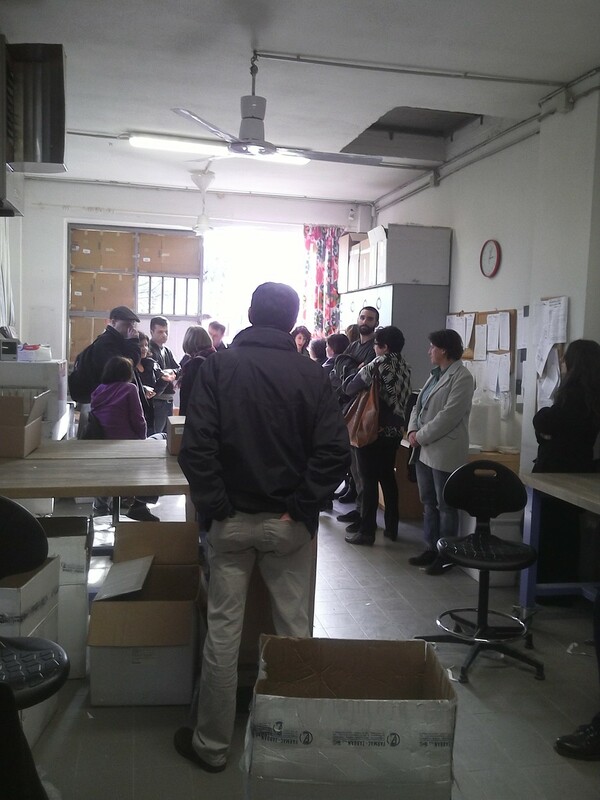 Participants also had the chance to visit the facilities of Groupe Terre. 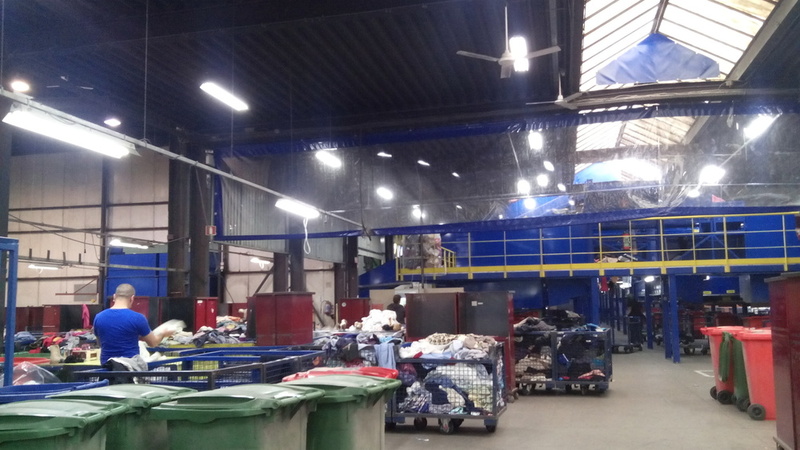 During the visit they could witness a typical workday in the Group Terre Netwotk of WISEs: they visited the textile area and then in the paper recycling one. 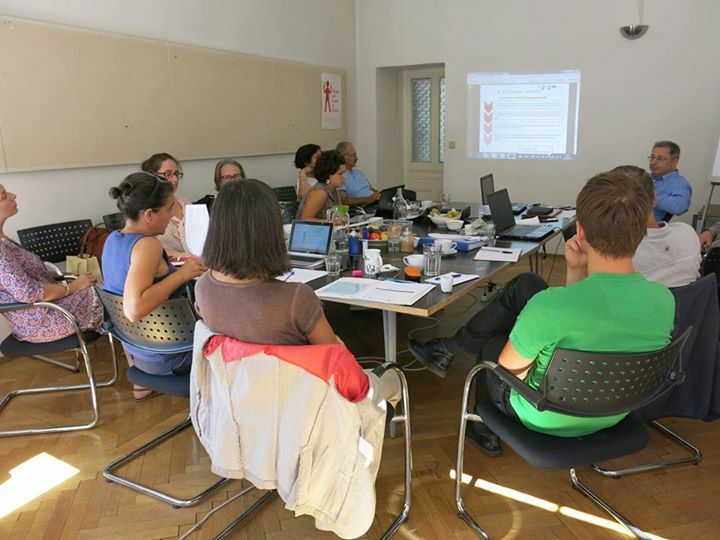 The first transnational meeting, or Kick-Off meeting, represented the chance for the different partner organisations to discuss about the project timeline, the definition of intellectual outputs and the common project management arrangements. The general objectives, target and methodology of the project were presented and are available here. The main aim of the meeting was the presentation of WISEs country specific situation, with specific focus to UK, Portugal, Austria and Italy. All the partners agreed on the upcoming steps and timeline to adopt and decide to work for the definition of emerging professional profiles in the WISEs. ENSIE's competences will be put in practice for the dissemination, communication and European dimension.